The Children's Hour, 9/29 Sat 9a: We’ve invited Dr. Sandra Brantley from UNM’s Museum of Southwestern Biology to help us understand, and maybe even learn to love, the arthropods among us. 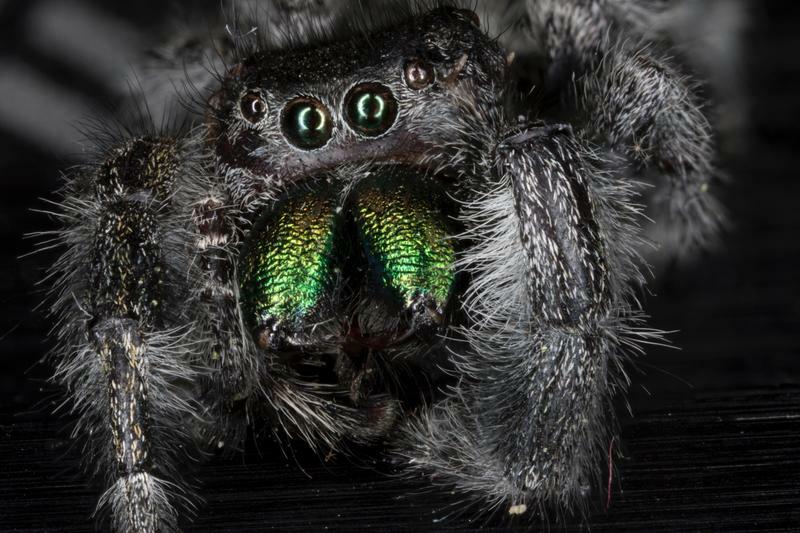 New Mexico is home to hundreds of species of spiders. We’ll learn more about which are venomous, which are unique to our state, and how we can live together harmoniously. Hundreds of students around the state are affected by the Trump administration’s amped-up immigration rhetoric, and teachers are seeing the effects in their classrooms. The New Mexico Dream Team held a training for University of New Mexico faculty, instructors and staff on Friday. From wildfires to heavy storms that bring flash floods, weather extremes from year-to-year that stem from climate change are impacting the region’s wildlife, according to a local scientist. The Sevilleta Long Term Ecological Research Program, based in Central New Mexico, was just awarded a multimillion-dollar grant to study the long-term effects on our environment. 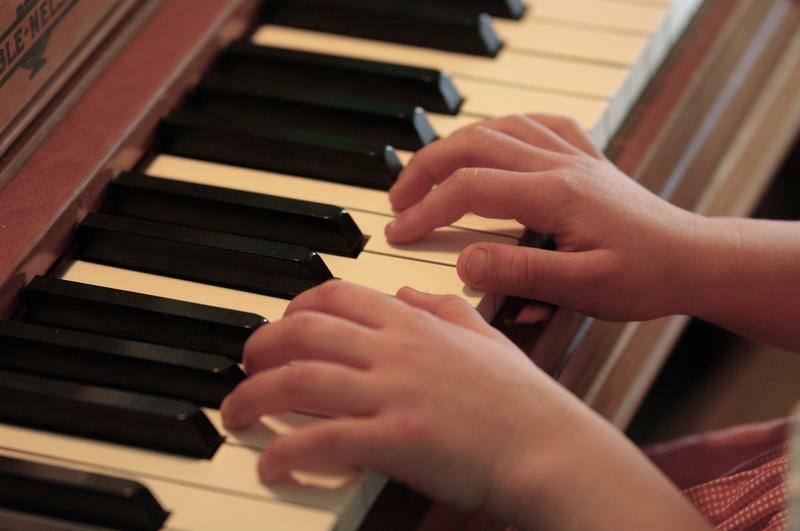 The Children's Hour, Sat 7/21 9a: Our series continues with Classical Kids Part Two - Piano and Winds with the Santa Fe Chamber Music Festival’s Deborah Unger. Plus, do you have a musical kid who needs lessons? We’ll find out about UNM Music Prep School which offers musical education for New Mexico kids from birth through high school. Heavily contested primaries like New Mexico’s congressional races can sort of tear parties apart, UNM Professor Lonna Atkeson said. That’s especially true when outside organizations start pumping money into candidates. "To see the groups come in and spend a lot of money with candidates who largely have the same ideological agenda is interesting." 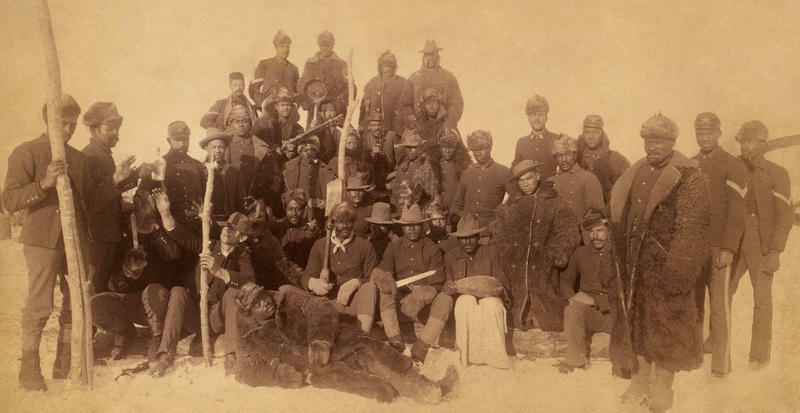 The Children's Hour, Sat 2/17 9a: Continuing in our unsung heroes of Black History series, we’ll be joined this week by UNM Professor of Africana Studies, Dr. Marsha Hardeman who will educate us about the Black History of New Mexico and the American Southwest. 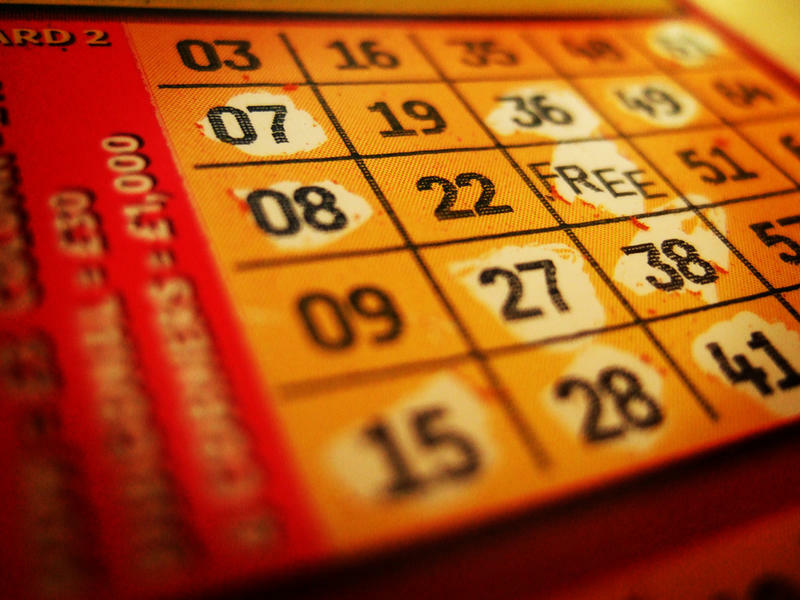 The New Mexico state legislature is running out of time to pass a lottery scholarship bill that could benefit thousands of college students. The University of New Mexico’s Board of Regents announced Thursday, Nov. 2, the University’s first female president in its 128-year history. Groups around campus said they want to work with her to improve student success. Folks gathered at polling locations across Albuquerque today to decide on the next mayor and city councilors, and a sick leave question. The line was long at the University of New Mexico. 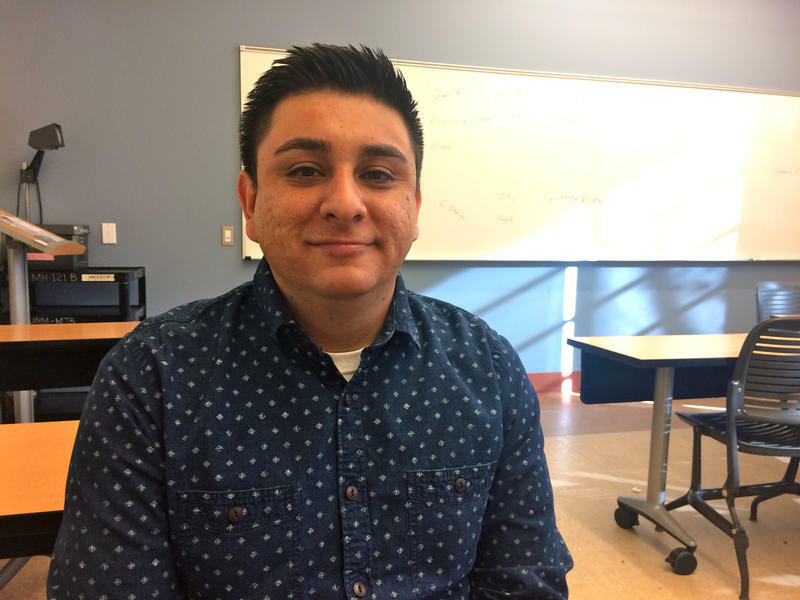 Hundreds of young people who were brought into the U.S. as kids without citizenship status attend colleges around New Mexico. Many were shielded from deportation by the Deferred Action for Childhood Arrivals program, or DACA. President Trump announced the end of DACA Tuesday, Sept. 5, and will begin phasing out the program in March, which will affect 800,000 recipients nationwide. 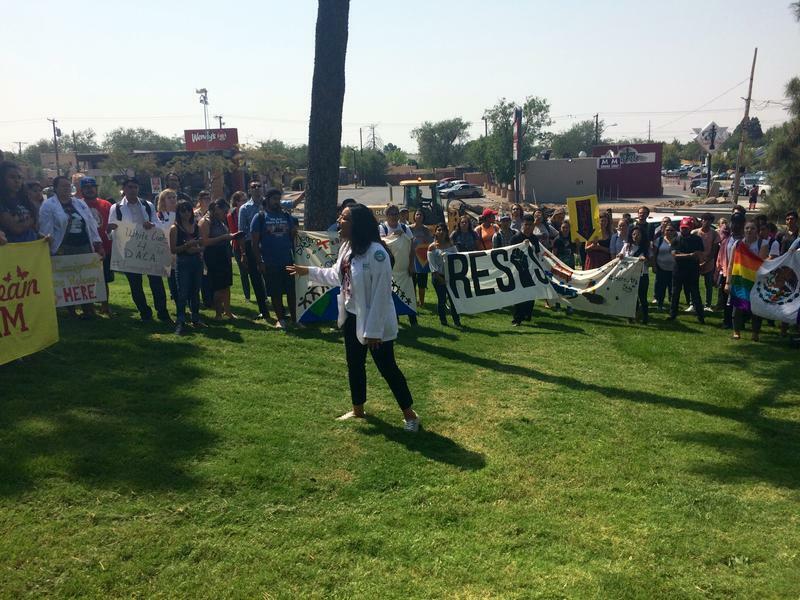 Hundreds of people marched at the University of New Mexico campus Tuesday afternoon to demand equality and rights for immigrant students. 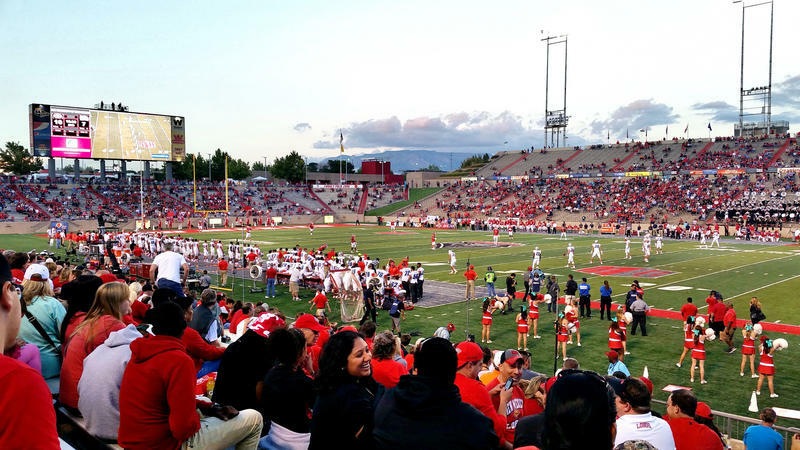 Let's Talk New Mexico 9/7 8a: The UNM Athletics Department is under intense scrutiny right now. The state auditor and attorney general are investigating the financial management of the department going back several years after news broke that the department covered expenses for some athletics boosters on a golf trip to Scotland. New Mexicans also learned this summer that fees for many suites at the Pit went uncollected for years. 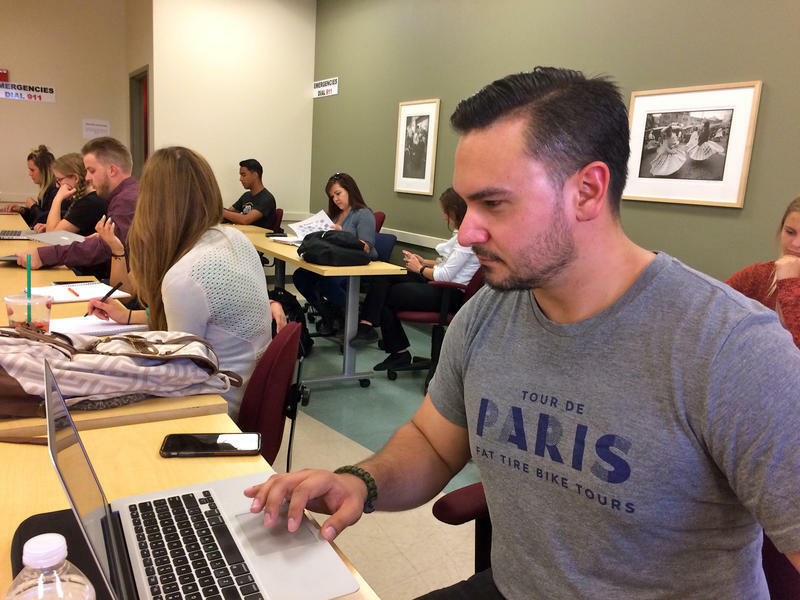 Before last year’s presidential election, University of New Mexico student Joshua Ramirez was paying careful attention to what the candidates were saying about national security and foreign policy. He’s a third-generation soldier and a Republican. He’s already served for a year in Kuwait, and anytime through October, he could be called to duty. Subhankar Banerjee is an internationally known writer, environmental activist and scholar. He is also an extraordinary photographer and has said that photography, for him, is a portal to activism and knowledge. 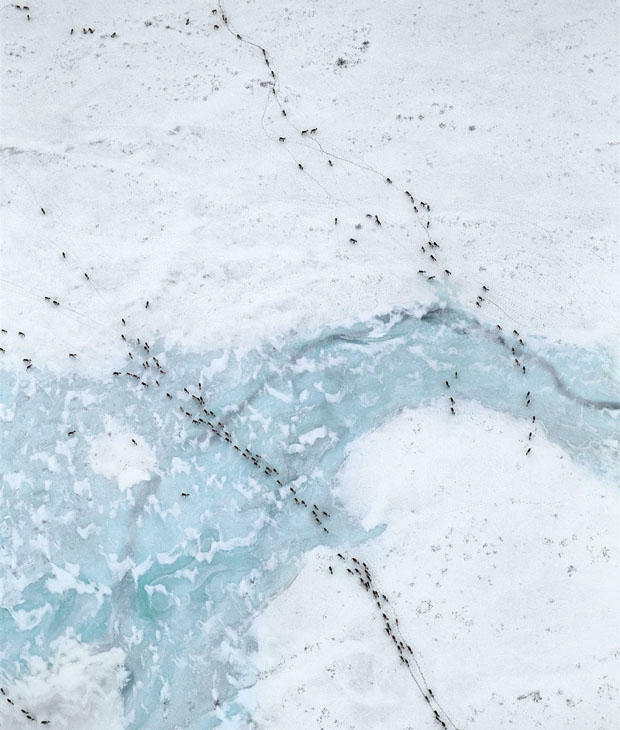 Several of his large-scale photographs of Arctic Alaska are now on display in Long Environmentalism in the Near North, Subhankar Banerjee: Activism – Photographs – Writing at the UNM Art Museum in Albuquerque. 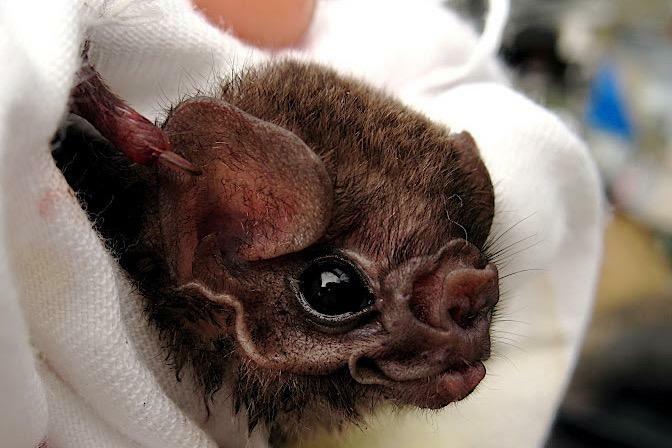 6/24 9a: This episode of The Children’s Hour had live bats in the studio to help us learn more about these incredible flying mammals that live in our backyard. Plus we found out how kids can get a scholarship to summer music camp. With great music, a family events calendar, the KUNM Kids Birthday Club and so much more. All around the country, questions about law enforcement and free speech are coming to the fore as police clash with demonstrators. 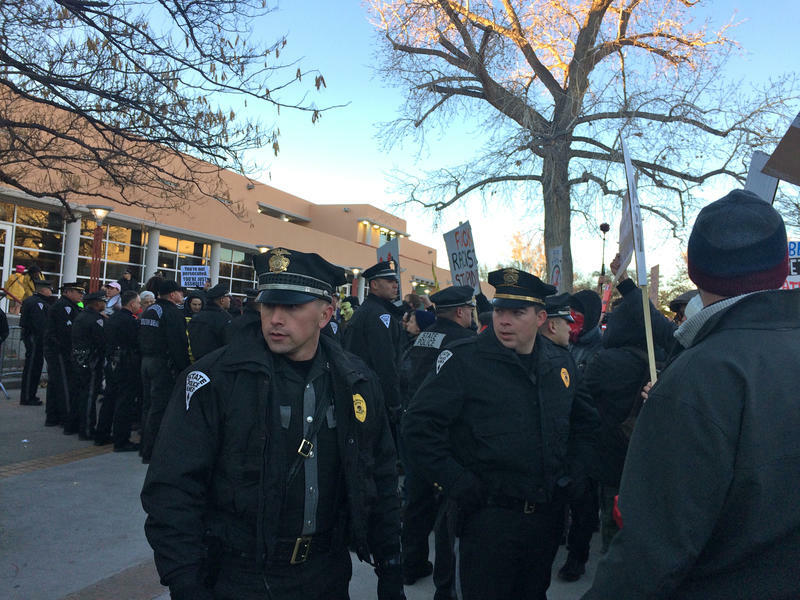 Scores of officers were sent to the Milo Yiannopoulos event at UNM in January where hundreds protested the extremist speaker. We made multiple public records requests, and now, months later, we know the total cost to taxpayers. 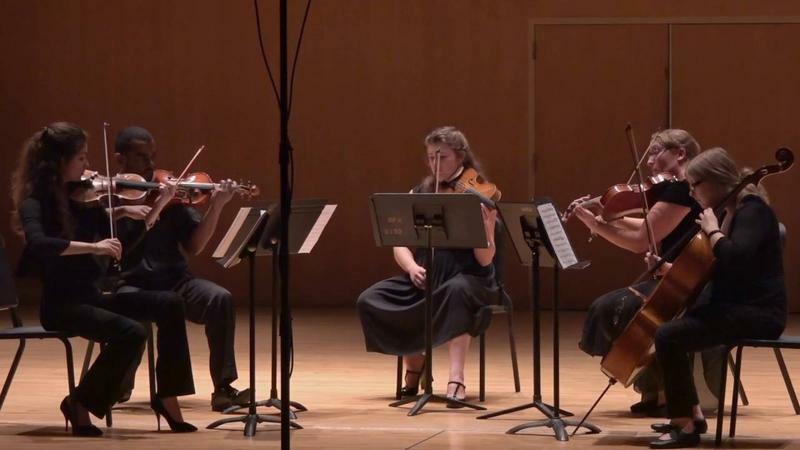 Sat 5/6 9a: This Saturday on The Children’s Hour, learn about the UNM Summer Music Institute series with UNM Fine Arts faculty Kimberley Fredenburgh and Cármelo de los Santos. We’ll have a mini live concert in the studio. KUNM Call In Show Thu. 4/27 8a. 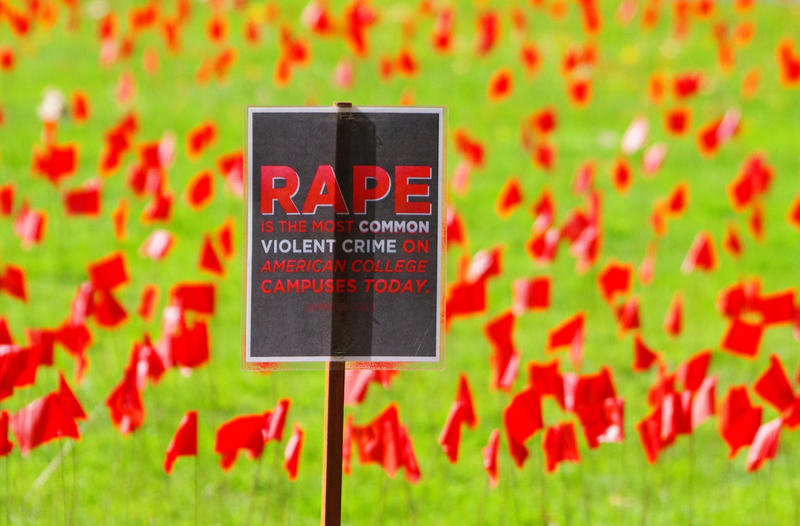 For years, the University of New Mexico’s been heavily criticized about how it handles sexual assault, and it’s Sexual Assault Awareness Month. This Thursday morning at 8, we’ll be talking about how UNM can do a better job of helping students who’ve been assaulted—and stopping this kind of violence on campus. Students, we want to hear from you. What needs to change? How can trust be rebuilt between students and the university? Universities around the country are grappling with security risks and costs when student groups bring extremist speakers to town. 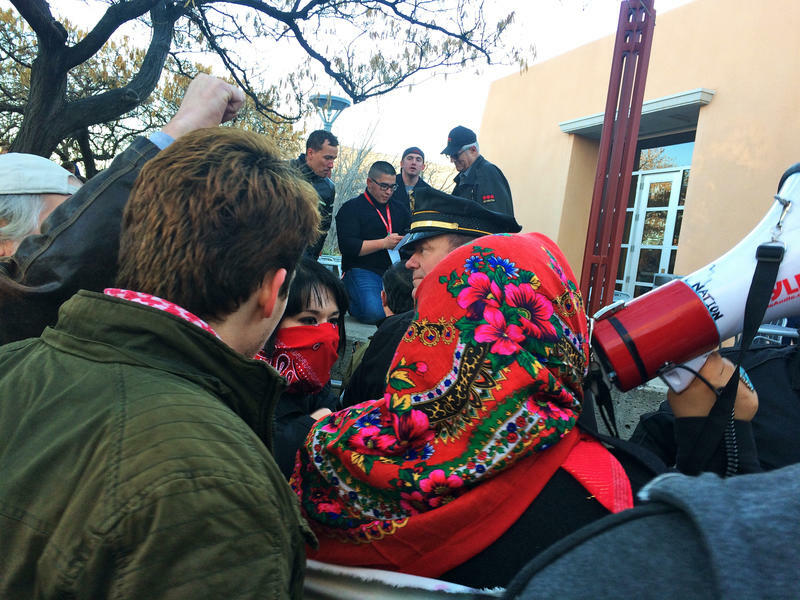 Ever since Milo Yiannopoulos came to the University of New Mexico earlier this year, KUNM has been trying to find out how much security for the event cost. 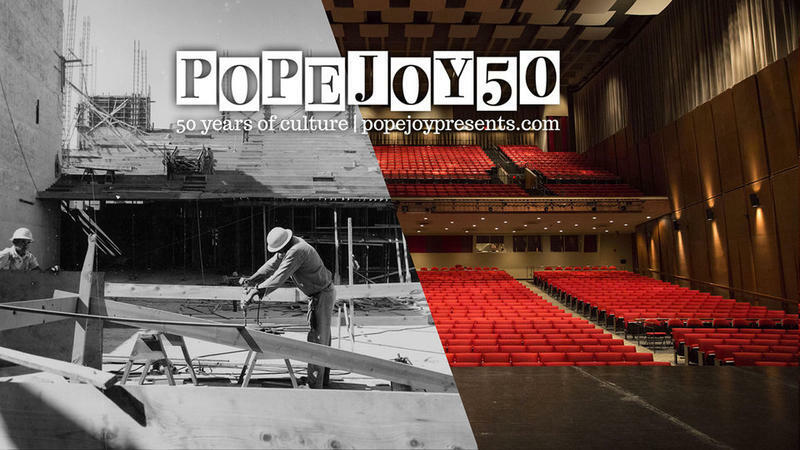 As President of the University of New Mexico from 1948-1968, Thomas L. Popejoy understood the value of the performing arts and having a proper hall to house them. He also understood the obstacles in getting such a hall built. Extremist opinion writer Milo Yiannopoulos delivered a speech at New Mexico’s flagship university in Albuquerque on Friday just hours after President Trump issued an executive order on immigration and refugees. 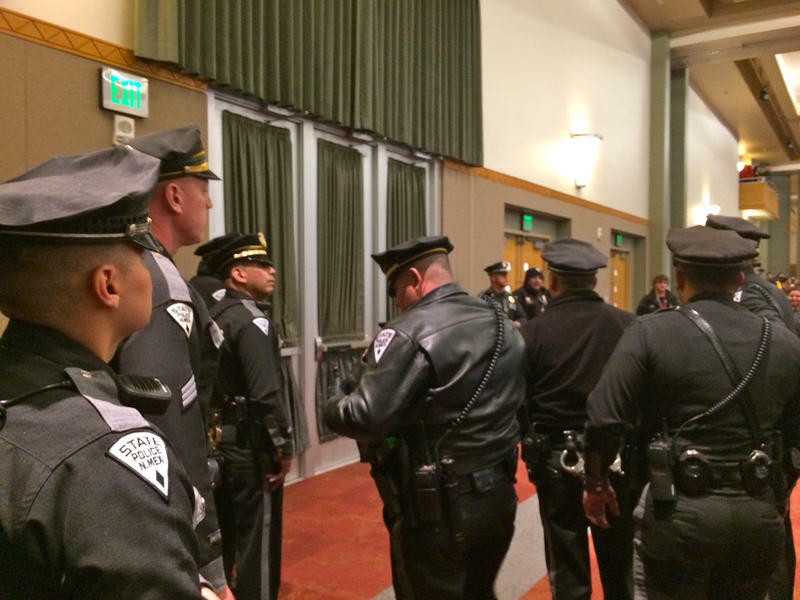 Yiannopoulos champions free speech, but several dissenters were escorted from his event by police. 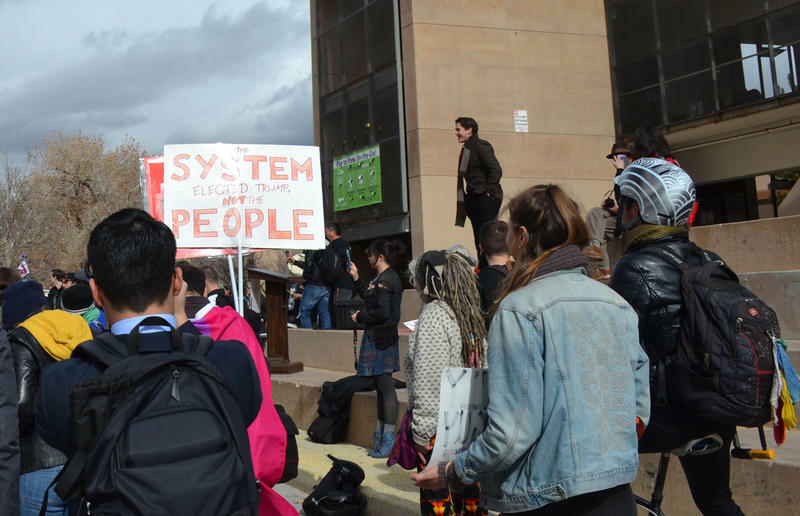 The sky was grey as scores of students at the University of New Mexico gathered today to protest the inauguration of President Donald Trump. Speakers took turns at a microphone, promising scrutiny and resistance to his administration. A handful of patriotic pro-Trump students turned up, too. 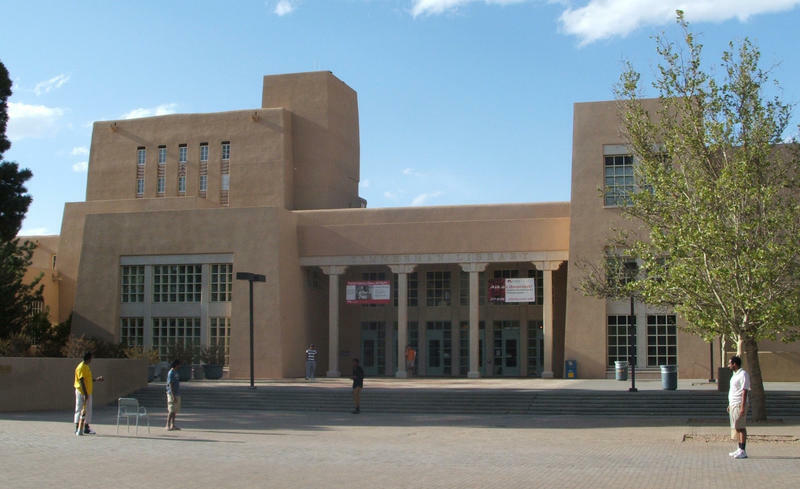 A student group at the University of New Mexico has invited an incendiary figure to speak on campus. Milo Yiannopoulos is a columnist from the U.K., who writes for the website Breitbart News. He’s associated with the so-called “alt-right,” a term the Associated Press says white supremacists have embraced to describe their ideology. He was banned from Twitter after his followers attacked actor Leslie Jones with racist abuse. Protests have been erupting in cities around the United States in the days since Donald Trump was elected president. 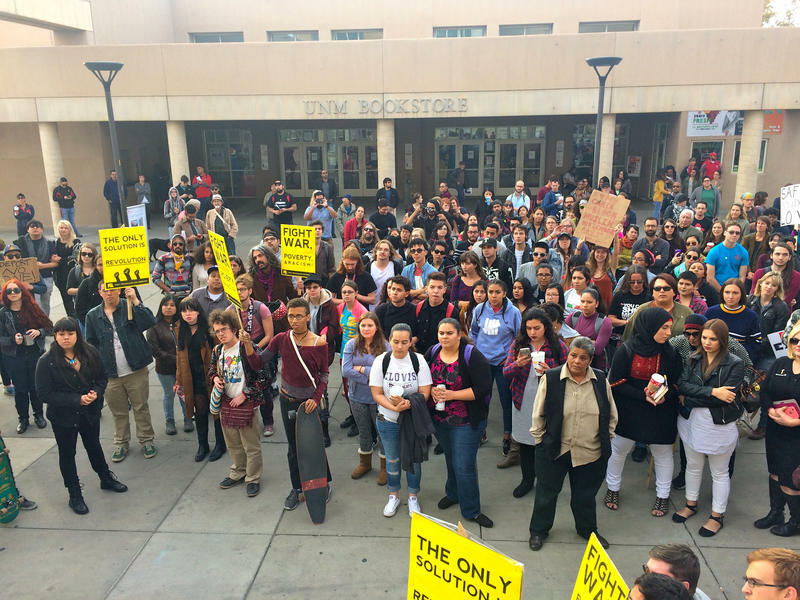 Hundreds of students at the University of New Mexico staged a walkout Wednesday evening. 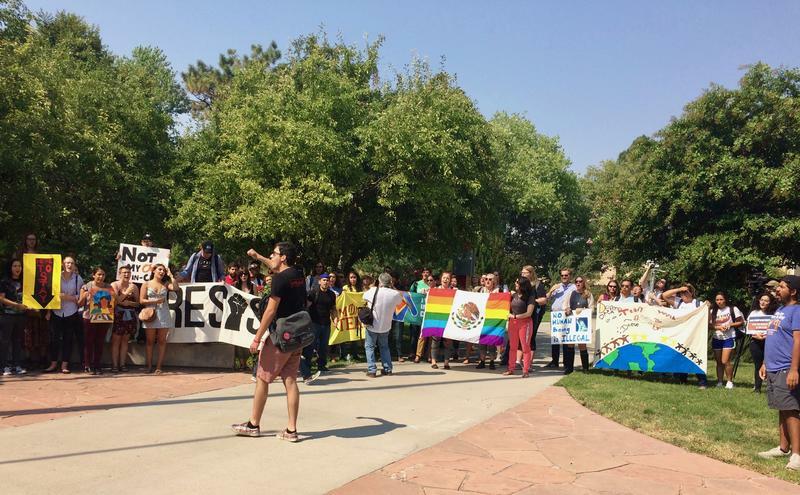 After the election, the University of New Mexico’s president issued a message acknowledging that students are feeling unsafe and urging people to respect each other. But hundreds of faculty members, students and even administrators are saying that’s not enough. New Mexico’s struggled to recover fully from the recession, and it can still be a real challenge to find steady work in the state. That’s central to how 18-year-old Quinton Valencia is casting his vote this year. 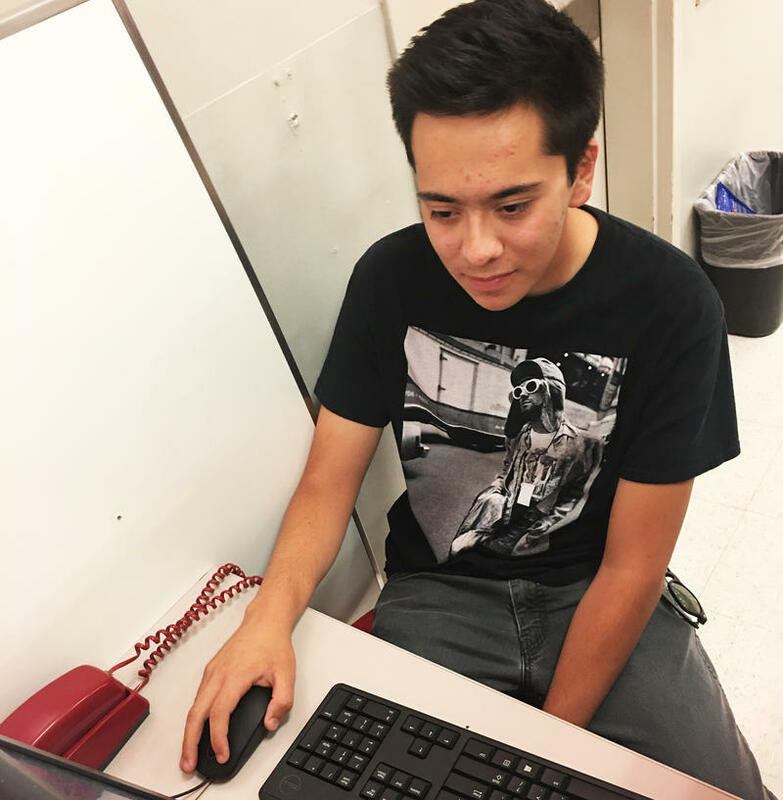 KUNM tagged along with Valencia as he applied for a job at Target in Rio Rancho. Sat 10/22 9a: The KUNM Kids will be cooking on The Children's Hour, with Santa Fe's Lynn Walters and Jane Stacey. 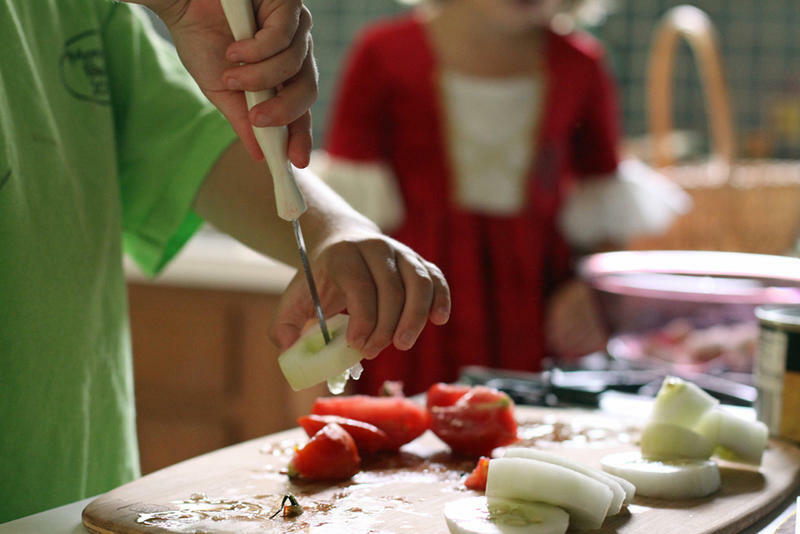 Their new book, The Cooking With Kids Cookbook will be our guide as we turn out a delicious show for kids of all ages. Students at the University of New Mexico who pay their tuition online are going to have reach deeper into their pockets this semester. 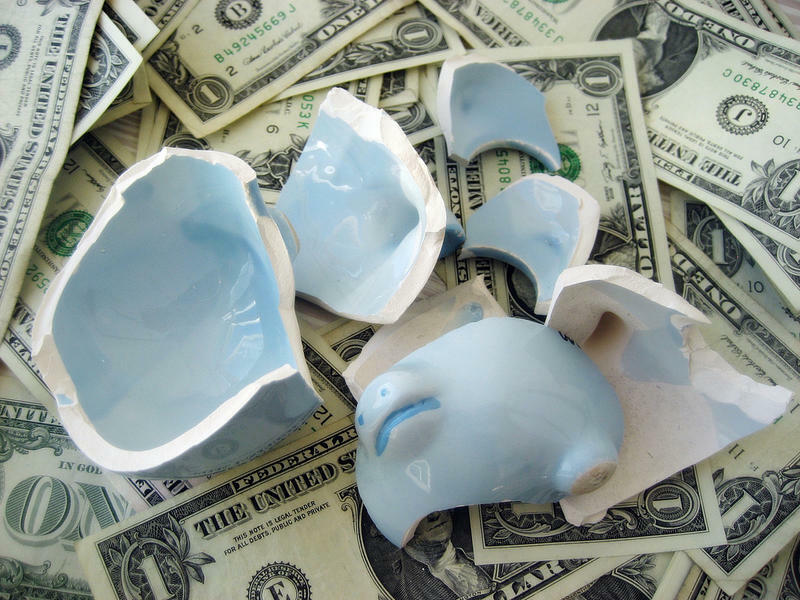 A 2.75 percent processing fee kicked in about a week before classes started. This summer, over 100 medical students from the University of New Mexico spread out across the state, working at health care facilities in rural or underserved communities. 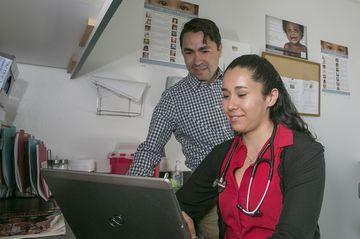 The program is part of the UNM School of Medicine's Practical Immersion Experience. Second-year student Josh Romero talks about his work this summer at La Familia, a community health center in Santa Fe. It’s expensive and it takes years to get a new drug approved by the U.S. Food and Drug Administration. 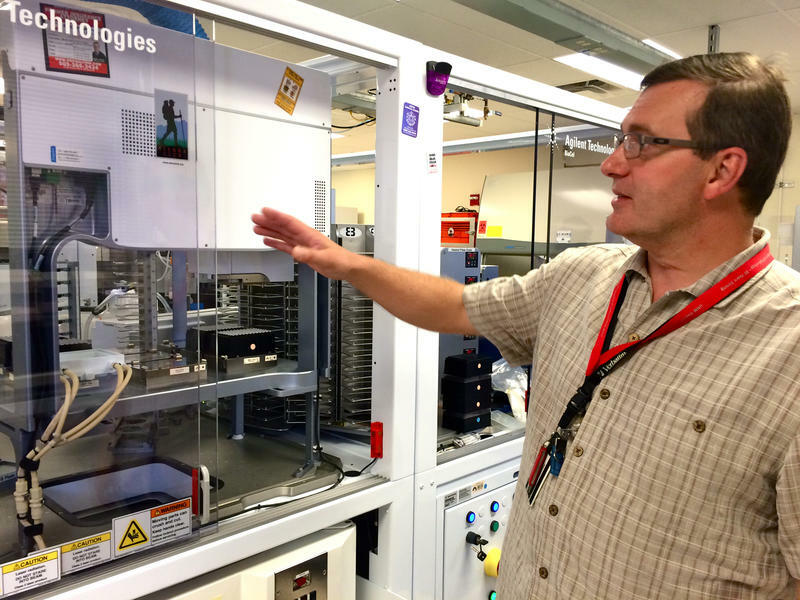 So researchers at the University of New Mexico are going back through the medicine cabinet of drugs developed for things other than cancer and testing them on cancer cells. 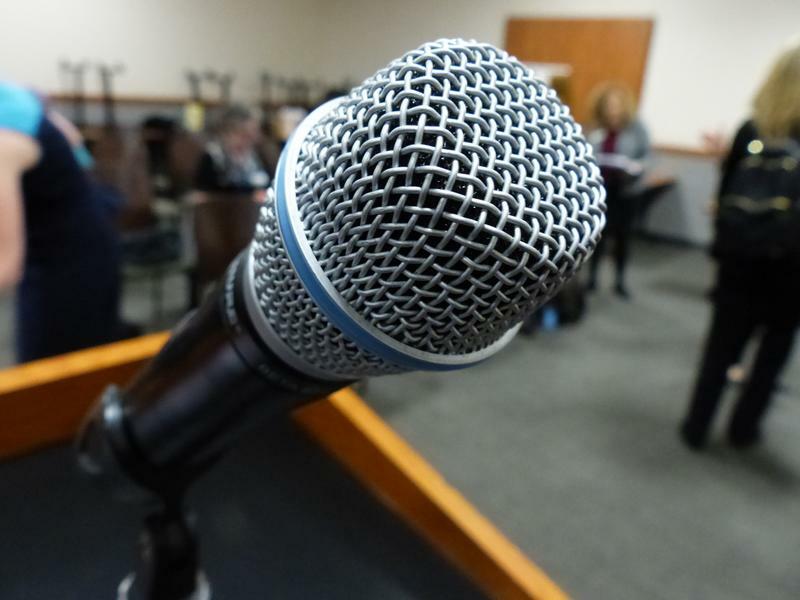 Right after the federal Department of Justice released a lengthy report slamming the University of New Mexico for mishandling sexual assault cases, UNM President Robert Frank held a news conference and questioned the investigators’ methods. 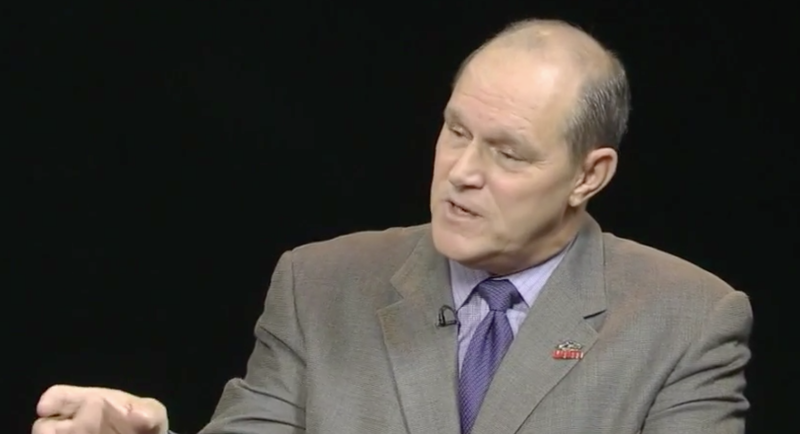 KUNM's Marisa Demarco sat down with Frank to find out how seriously UNM’s president takes the federal criticism.